Affecting the structures supporting your teeth, periodontal (gum) disease is a progressive infection leaving a significant impact on your oral and systemic health. Whether you are suffering the effects the stage of gingivitis, periodontitis or advanced periodontitis, Dr. Vikram Gandhi and our friendly, compassionate team can provide the treatment you need for a healthy smile and healthy body. Your bone and gum tissue should fit snugly around your teeth. 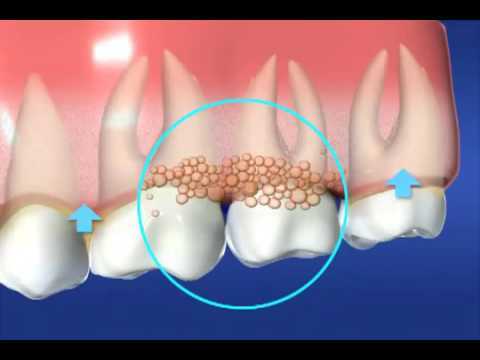 When you have periodontal disease, also known as gum disease, this supporting tissue and bone is destroyed, forming “pockets” around the teeth. Over time, these pockets become deeper, providing a larger space for bacteria to live. As bacteria develop around the teeth, they can accumulate and advance under the gum tissue. These deep pockets collect even more bacteria, resulting in further bone and tissue loss. Eventually, if too much bone is lost, the teeth will need to be extracted. To diagnose periodontal disease, Dr. Gandhi measures the spaces, or periodontal pockets, between your teeth and gums. When these measurements go beyond a certain depth, and bone loss is evident on your x-rays, he may recommend a periodontal pocket reduction procedure, known as osseous surgery. Unfortunately, these pockets are too deep to clean with daily at-home oral hygiene and a professional care routine, and require advanced help with a reduction procedure to clear the teeth and gums of harmful bacterial deposits. During the osseous surgery procedure Dr. Gandhi gently folds back the gum tissue and removes the disease causing bacteria, plaque and tartar before securing the tissue into place. In some cases, irregular surfaces of the damaged bone are smoothed to limit areas where disease causing bacteria hide. Bone tissue may also be grafted into place during this procedure, providing much needed support for teeth affected by destructive periodontal disease. The process of pocket depth reduction allows the gum tissue to better reattach to root surfaces of the teeth and healthy bone. Procedures that regenerate lost bone and tissue supporting your teeth can reverse some of the damage caused by periodontal disease. Dr. Gandhi may recommend a regenerative grafting procedure when the bone supporting your teeth has been destroyed by this oral infection. When performing these procedures, membranes (filters), he expertly places bone grafts or tissue stimulating proteins to encourage your body’s natural ability to regenerate bone and tissue. Grafting procedures can reverse some of the damage by regenerating lost bone and tissue, returning a strong, healthy foundation to your smile. "Actually I remember that pretty vividly, coming in the door for the first time because immediately I felt comfortable, I felt at ease and I felt like I was with people who cared about my being here. They didn't feel like strangers from the get go, they felt like people I already knew and had a relationship with. "